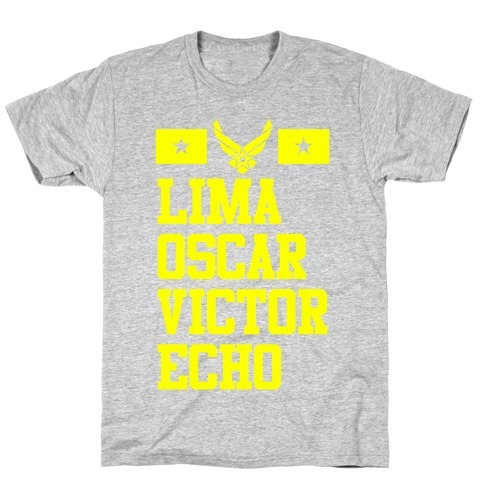 Browse our collection of 32 Soldier T-Shirts and more. Designed and printed in the USA. 100% Satisfaction Guaranteed. About this Design Air Force wives, girlfriends, and MilSOs everywhere know the struggle you go through when your soldier is away. 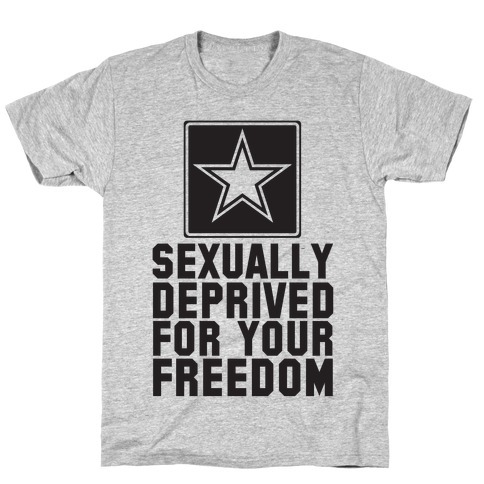 Let everyone know the sacrifice you make when you military man is deployed all over defending the country with this design that says "Sexually deprived for your freedom". Air Force wives, girlfriends, and MilSOs everywhere know the struggle you go through when your soldier is away. 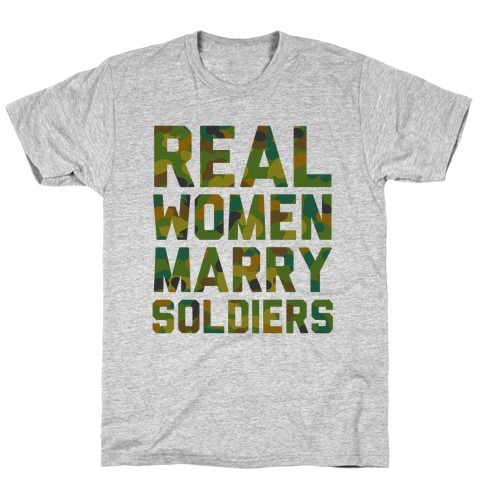 Let everyone know the sacrifice you make when you military man is deployed all over defending the country with this design that says "Sexually deprived for your freedom". About this Design Defend the defenders of America with this "Trans Military Matter" design to stand up to Trump and his gross tweets about banning transgender individuals from serving in the United States military. Support the trans people who would like to serve and our current, brave, trans soldiers with this political design! 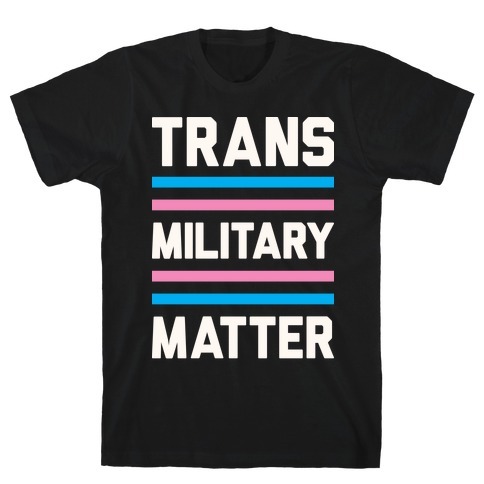 Defend the defenders of America with this "Trans Military Matter" design to stand up to Trump and his gross tweets about banning transgender individuals from serving in the United States military. Support the trans people who would like to serve and our current, brave, trans soldiers with this political design! 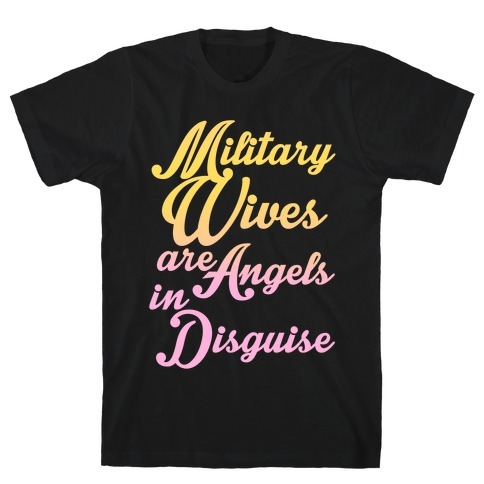 About this Design Army wives, girlfriends, and MilSOs everywhere know the struggle you go through when your soldier is away. Let everyone know the sacrifice you make when you military man is deployed across the world defending the country with this design that says "Sexually deprived for your freedom". Army wives, girlfriends, and MilSOs everywhere know the struggle you go through when your soldier is away. 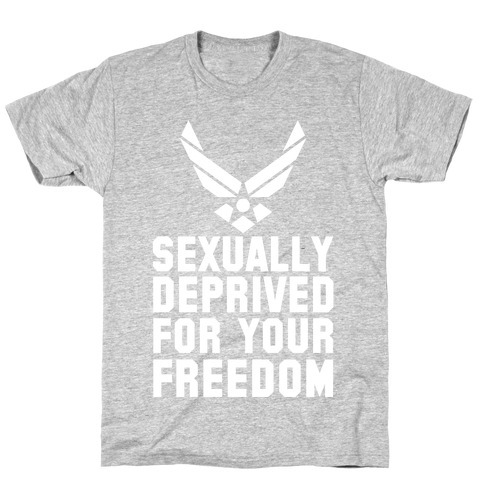 Let everyone know the sacrifice you make when you military man is deployed across the world defending the country with this design that says "Sexually deprived for your freedom". About this Design There is nothing more heroic than fighting for one's country. You are dating a national hero and we think you should show it off with this military inspired design! There is nothing more heroic than fighting for one's country. 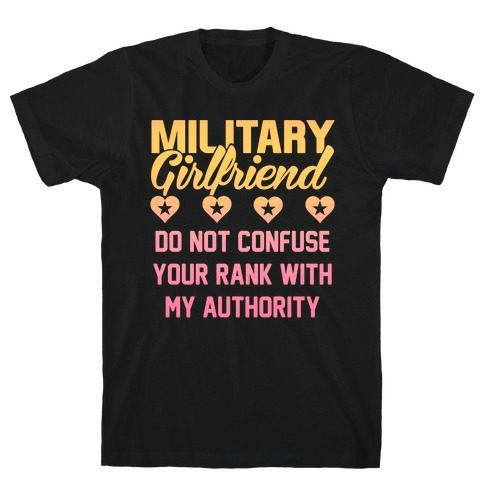 You are dating a national hero and we think you should show it off with this military inspired design! About this Design Show how much you love and miss your husband or wife who's out and proud, fighting in the army, with this lgbt, military shirt! It's tough being out in the military as well as being out in battle or away from your husband or wife. Show how much you love and miss your husband or wife who's out and proud, fighting in the army, with this lgbt, military shirt! It's tough being out in the military as well as being out in battle or away from your husband or wife. About this Design If you're being protected at night it's because you're sleeping with a soldier. There isn't anything better than being an army wife or girlfriend. So, if you're man is graduating boot camp or has been in the Army for awhile this "Stay Safe! Sleep With A Soldier" shirt design is perfect to let everyone know that you are proud of your significant other. If you're being protected at night it's because you're sleeping with a soldier. There isn't anything better than being an army wife or girlfriend. So, if you're man is graduating boot camp or has been in the Army for awhile this "Stay Safe! Sleep With A Soldier" shirt design is perfect to let everyone know that you are proud of your significant other. About this Design Keep calm and love your soldier with this military shirt. He needs all the support he needs, fighting for the freedom of our country everyday. I am proud that he is mine. Keep calm and love your soldier with this military shirt. He needs all the support he needs, fighting for the freedom of our country everyday. I am proud that he is mine. 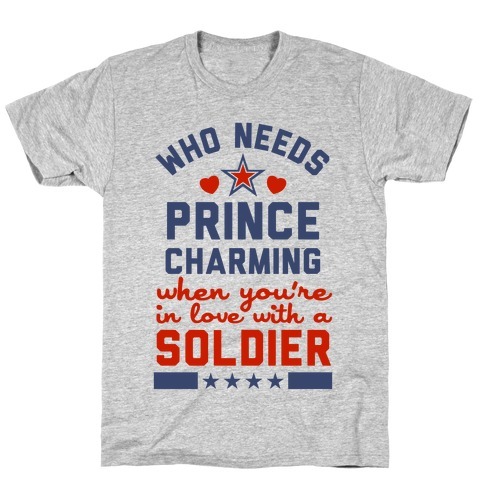 About this Design Who needs prince charming when you're in love with a soldier? Show some love for the army man in your life with this fun and loving military shirt! Who needs prince charming when you're in love with a soldier? 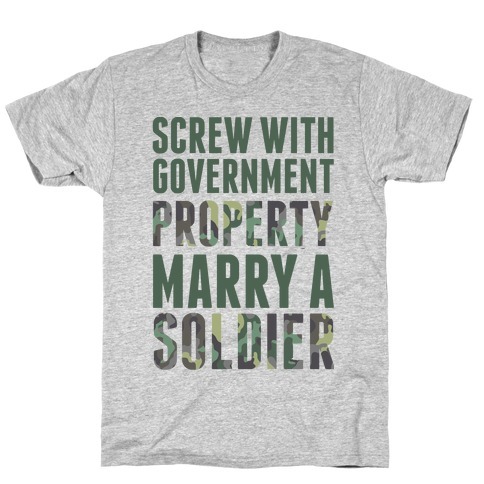 Show some love for the army man in your life with this fun and loving military shirt! About this Design There's no man better than a military man. A good man who can fight for your freedom and your heart. Show your love for the men in camo with this awesome design. There's no man better than a military man. A good man who can fight for your freedom and your heart. Show your love for the men in camo with this awesome design. About this Design Half of my heart is away in the army! Even though your soldier is away, that doesn't mean he/she has left your heart! 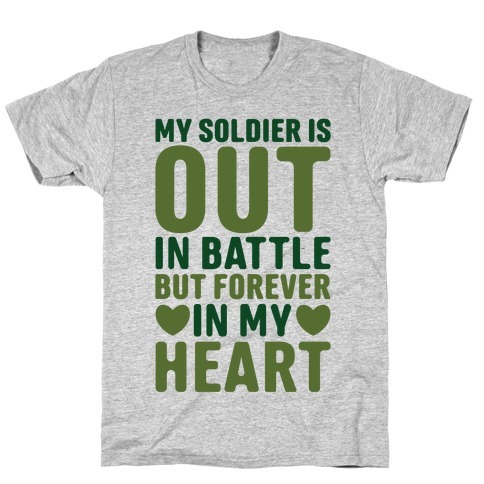 Show your love for your soldier with this sweet and romantic, army shirt. Half of my heart is away in the army! Even though your soldier is away, that doesn't mean he/she has left your heart! 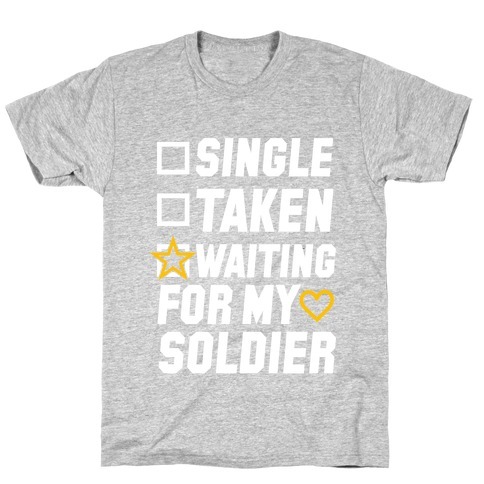 Show your love for your soldier with this sweet and romantic, army shirt. About this Design This tee belongs to those of us who are army proud and country strong, a combo to be reckoned with. This tee belongs to those of us who are army proud and country strong, a combo to be reckoned with. 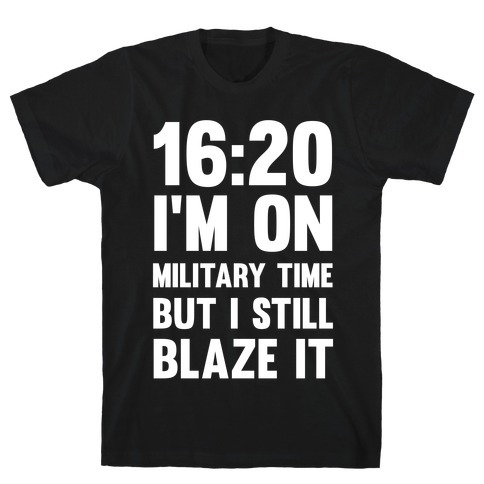 About this Design 16:20 I'm On Military Time But I Still Blaze It! 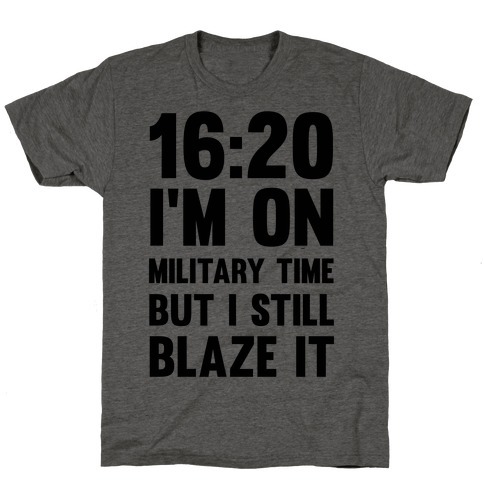 Even on military time, you can still puff, puff and pass it along. Stay blazed or get hazed. 16:20 I'm On Military Time But I Still Blaze It! Even on military time, you can still puff, puff and pass it along. Stay blazed or get hazed.